Long Island is a quaint little Island measuring just 18 square kilometres situated at a distance of 47 nautical miles from the main Island of Port Blair. Enjoy the untouched virgin beauty of this island. Indulge in short day excursions to the nearby uninhabited islands or go for a refreshing snorkelling or swimming into the lovely blue waters. Lalaji Bay Beach is the primary place of beauty and peace on this island. 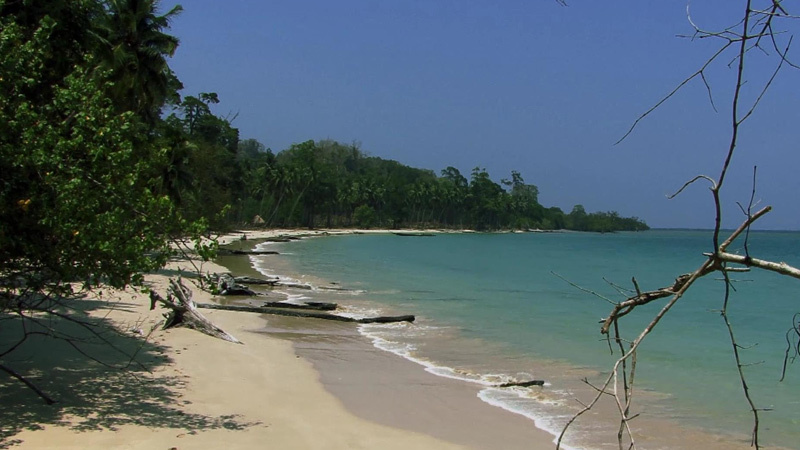 Long Island is not among the most popular of tourists spots of Andaman and Nicobar Islands and is not much hounded by a huge traffic of tourists. It is fairly remotely located. Moreover, since it is not in the mainstream tourism, it is also not well connected. Accommodation facilities are limited. Take a bus connecting Port Blair and Rangat Yerratta Jetty. Take a government ferry from Rangat Yerratta Jetty to Long Island. These ferries travel alternate days and not on a daily basis (Mondays, Wednesdays and Fridays). Alternatively, you can directly hire a private boat from Port Blair to reach Long Island. Think about the crossing the vastness of the beautiful seas and maybe indulge in a mini angling expedition while on your journey. Also as the distance is a bit much, it would be a mini cruise for you taking in the beauty of the enchantingly blue seas all around. Similarly, you can catch government boats from Havelock and Neil Islands to sail to Long Island. En route from Port Blair to Long Island, you can think of exploring the other islands such as Havelock, Wilson Island, Neil Island, South Button, Guitar Island, Tamarind Camp, Inglis Island and John Lawrence Islands. Among the limited option for staying overnight in Long Island, we have the Government accommodation facilities and also Blue Planet. Blue Planet offers close to nature accommodation through eco-huts and have reasonable tariff rates and serves delicious meals. Accommodation will however be minimum and not at all any fancy or luxurious kind. Internet connectivity is also low in Long Island. Long Island will not be having too much of facilities. Only the bare necessity shall be available. So tourists who travel with kids or elderly person can easily avoid visiting this island. But Long Island on the other hand is a paradise for people who enjoy remote or off-beat locations. Wanderers, nature lovers, backpackers, professional or amateur scuba divers, people on honeymoon in search of privacy do not forget to give Long Island a shot when you visit Andaman and Nicobar Islands. Long Island would also not be having any in-land transportation facility. You can just take in the beauty of the Island by a walk around. The lovely and humble villagers, the dense forests, the solitude and the marvellous beauty of nature would make your trip to this island a memorable one.